For everyone who is in a constant search for adventure, there are plenty of spots on our gorgeous planet Earth that you can go to. Wildlife adventures are plenty, some of them are lesser known than the others, but they are all equally stunning. Our suggestions aren’t for the faint hearted, so be prepared to be blown away! Also, none of the choices we’ve singled out is geographically organized, so if things seem a bit out of place – that’s because they are. The crew we went with has already been to many of these places, so they were perfect guides. We weren’t the ones to take photos and shoot videos of the amazing sights, but they were, so re-watching all that we’ve seen is pretty exciting, too! If you’ve got a big heart and you’ve always wanted to help animals, here’s your chance. Inti Wara Yassi, a community wildlife project, rehabilitates victims of the country’s black-market trade in exotic pets. The whole operation is run entirely by volunteers; birds, big cats other creatures that arrive malnourished and abused are looked after the volunteers who not only care for their heeling, but they do the labor work also, like build and clean cages. The volunteer work is hard, so if you want to go on a holiday and just enjoy the wildlife, maybe this one isn’t for you. However, if you are keen on helping, all the help possible is much appreciated. You’d be dealing with newcomers, nursing orphaned and rescued capuchin and howler monkeys, taking pumas, lemurs, ocelots and jaguars for daily walks in mangrove forests, preparing birds for their release in the wilderness, and guiding visitors. The elusive, extremely dangerous and world’s most endangered species at your immediate reach? Wow! But yes, you can only imagine how exciting it can get being surrounded by them and spotting them from afar. No, you won’t be able to touch them (well, if you are brave enough and crazy enough, maybe!) but you’ll definitely be fascinated with their beauty, vigor, stamina and sanguinary. Once you see these tigers in action – expect your adrenaline glands to pump through the roof! 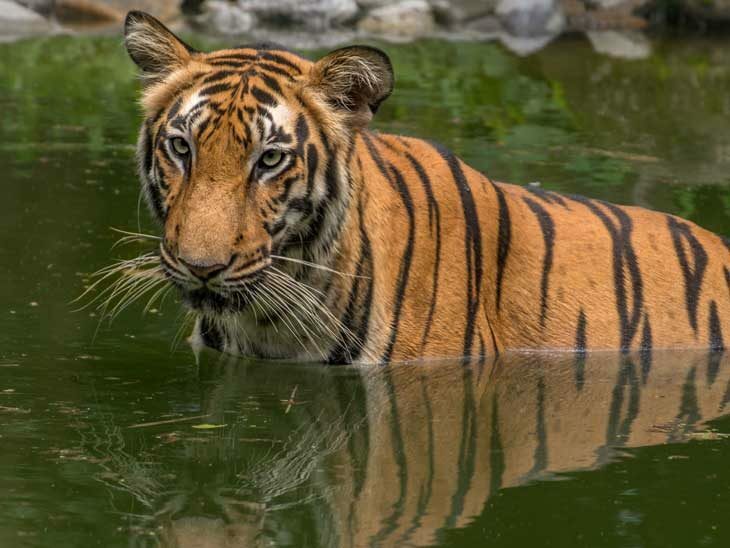 Currently, India is making incredible effort to conserve its remaining tigers and is additionally embracing its (almost) 30 reserves. Nepal is also investing in innovative conservation methods in order to protect the tigers as much as possible. If you happen to visit this area somewhere between mid-September and mid-November, you’ll witness more than 300 red deer stags on one tiny island in their annual rut of adult males fighting and competing for harems of females. Should you ever find this site too much, you can always chill with the Rum ponies, a breed unique to the isle. The crew we were with brought all kinds of equipment with them saying these wildlife spectacles need to be properly captured, otherwise – it’s a waste. With their trail cameras, video cameras, analogs, etc. – they definitely managed to capture the beauty and excitement of the “event” that’s, in essence, indescribable. There’s nothing as effective as going on a cruise to witness the Antarctic’s long list of wildlife. With the particular cruise we went on, we used small ships and nimble zodiac boats, and we used to cruise among icebergs which gave us the opportunity to have close encounters with orca, emperor penguins and leopard seals. It’s a pretty long way, so if you take the same route, there’ll be stop-overs in Buenos Aires and southerly Ushuaia en route. If you want to know more about tourism in Antarctiva, you should definitely read the article about Martin Enckell who is an expedition leader. All the places we’ve seen were absolutely amazing and we definitely plan on going again. Hopefully, you’ll choose your destinations wisely. Don’t forget to bring your cameras! Are there any important wildlife destinations not mentioned? Please fill in via email, in the comments below, on Twitter, Facebook or Google+.